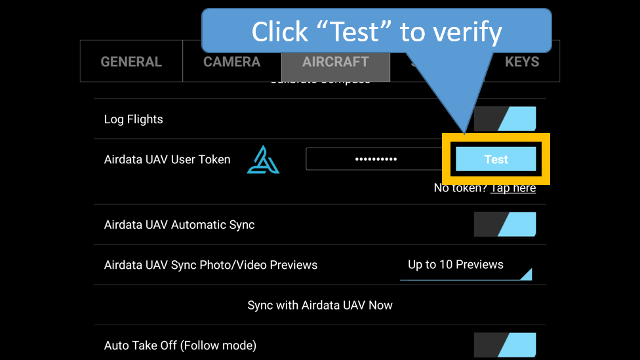 Litchi and Airdata UAV (formerly HealthyDrones ) are excited to provide users with the ability to automatically synchronize their Litchi flights with the Airdata.com analysis for superior end-to-end flight experience. Are you looking for the DJI log converter? 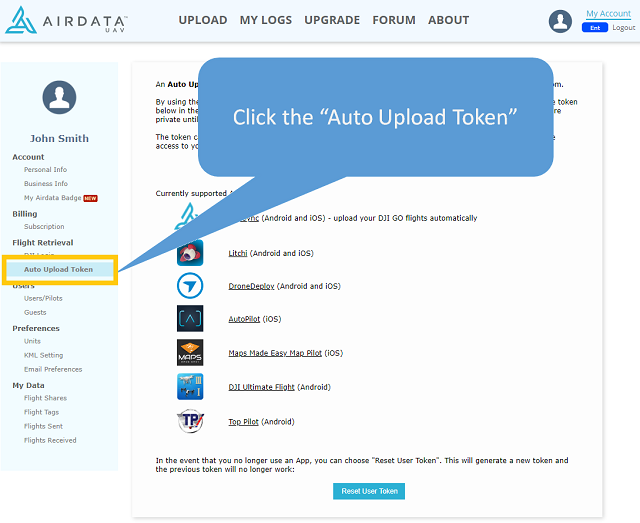 Register for your FREE Airdata UAV account (formerly HealthyDrones). 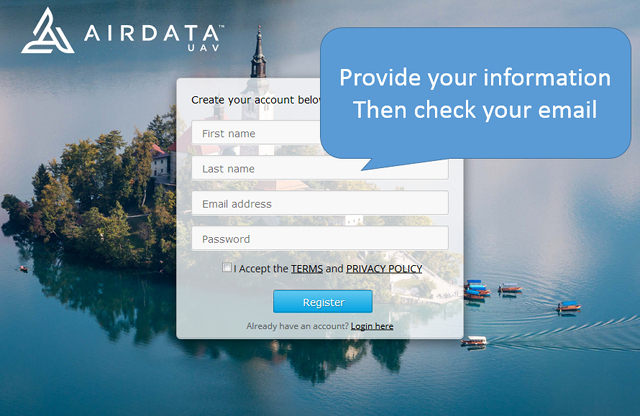 If you already have an Airdata account, skip ahead to step #3. This is where you find your Token (the value in the image below is an example only). You are all set! 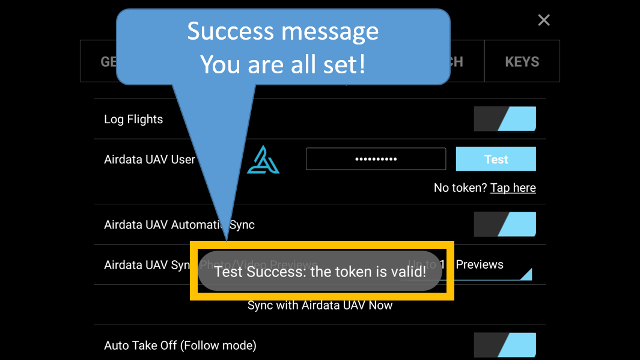 Your future flights will show up in Airdata.com automatically! 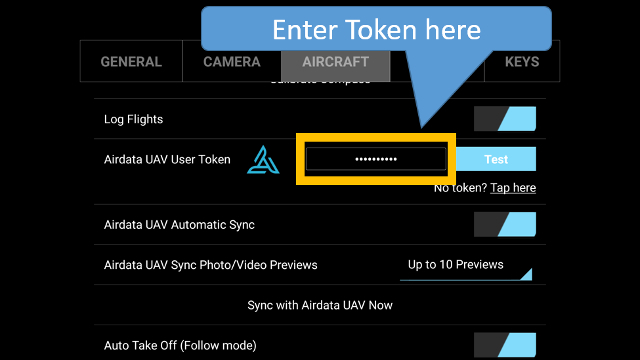 If you have existing flights with Litchi, these will get automatically uploaded as well (see FAQ). Can I upload CSV files myself, instead of using the auto-upload? Yes, you can use the regular upload page to upload the Litchi V2 CSV files. Flight logs are stored in the phone's internal storage in the "LitchiApp/flightlogs" folder. Not all my flights from Litchi are uploaded, why? Only "V2" logs (created by Litchi version 2.2.0 or newer, released on Oct 1st 2015) are supported and will be uploaded. Older logs do not contain all the required information. You can tell if a log is "V2" if the filename has "V2" in it. Unfortunately no. 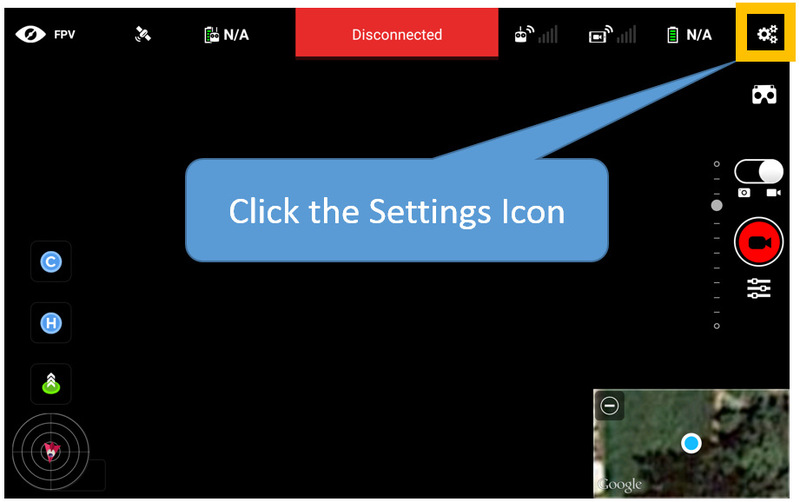 Phantom 2 does not record all the required information. Both auto-upload and manual CSV upload will not work for the P2. Are Litchi and Airdata UAV the same company? No, Litchi and Airdata UAV are 2 separate entities and are just collaborating for a superior end-to-end flight experience.